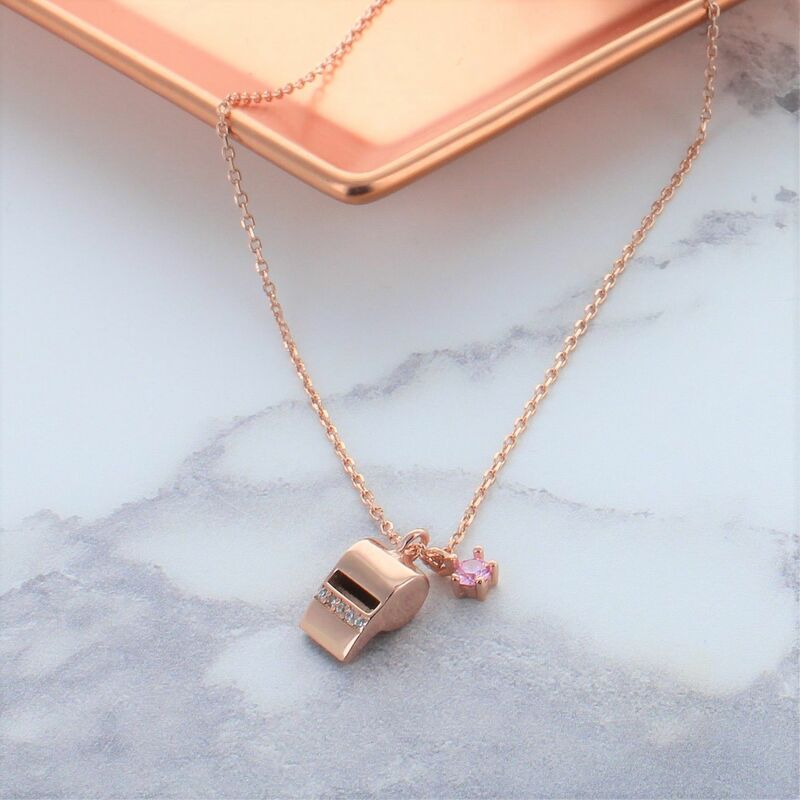 A unique rose gold plated sterling silver necklace with a cubic zirconia whistle charm and small pink crystal. The unique zircon and rose gold whistle necklace would make a great individual statement to any outfit. The chain is beautifully light and delicate highlighting the sparkly zircon whistle charm in the centre. 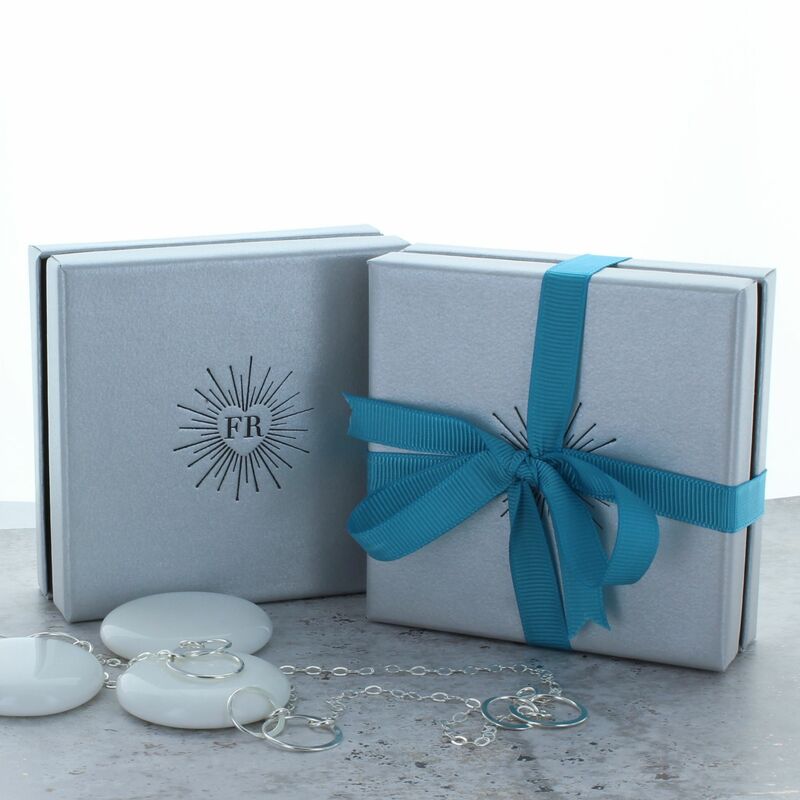 Each necklace arrives in a striking white gift box with a contrasting silver logo.